I entered into a worthwhile collaboration with Nail Tropics for the month of October. The project was solely brewed by Nail Tropics in cooperation with the Philippine Foundation For Breast Care, Inc. Its objectives are to help increase breast cancer awareness, to financially help the foundation, and to elate nail art here in the country by coming up with classy nail designs. During my meet with heads of Nail Tropics, I offered to contribute to this cause by coming up with nail designs inspired by the Breast Cancer Awareness campaign. That meant pink and dainty digits! I was excited. They chose 2 out of 5 designs I submitted due to time constraints since their nail artists needed to learn the designs in a couple of days across all branches. For those who'd like to keep a subtle manicure but still in accordance to the theme, you may opt to polish your nails plainly with a light pink shade and wear an accent nail with a pink ribbon. The latter design is more attractive in terms of color and would probably be the choice of those who'd like to make a louder support. 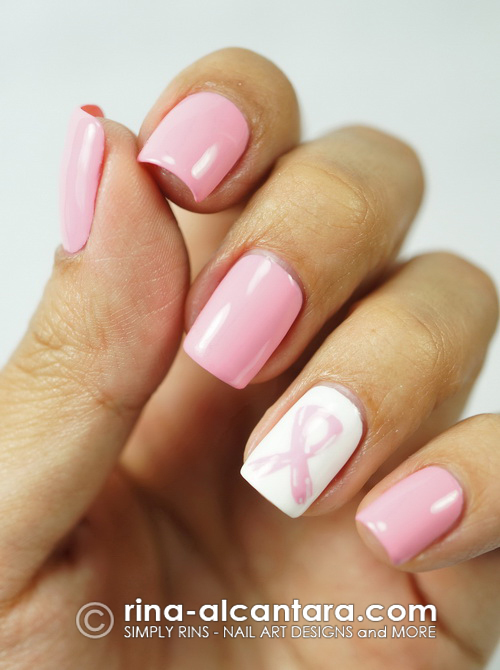 Whatever nail design you choose, you will definitely be helping the foundation and the campaign. The promo is effective for the entire month of October at any Nail Tropics branch across the metro. Choose from any of the breast cancer awareness inspired nail art and portion of the proceeds will be donated to the Philippine Foundation For Breast Care, Inc. (Kasuso). 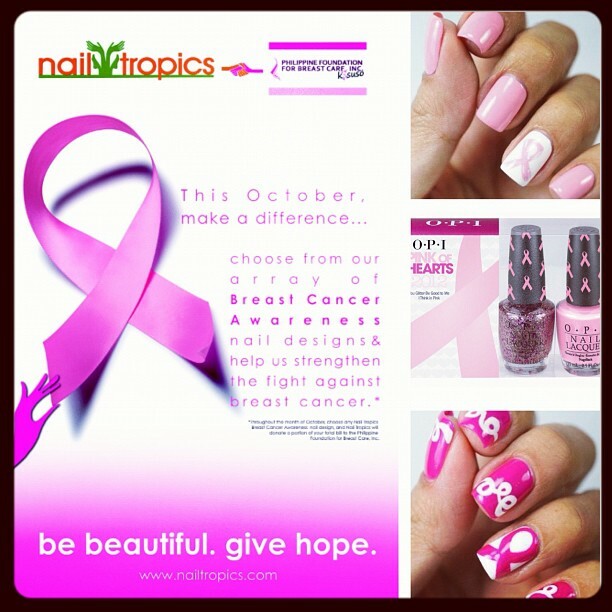 For more details, please visit the Nail Tropics Facebook Page and the Kasuso Foundation Website. Disclosure: Nail Tropics have license to use images of these nail art designs and to recreate them until October 31, 2012. I did not receive any compensation for this collaboration. 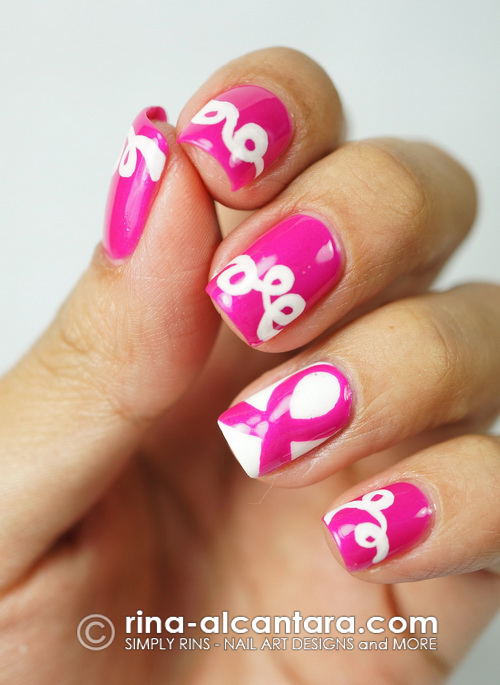 Great you make these nails for this great cause. They look lovely. Good shades with different color combination. Have you got any Toenail Art design?